Microsoft Certified Professional – I’ve been developing Windows and Web for over 10 years. Before .NET for web, I used C/C++ with CGI for web application. Before .NET for Windows, I used C/C++ with MFC for Windows, C/C++ with TNT for DOS and C/C++ on UNIX. 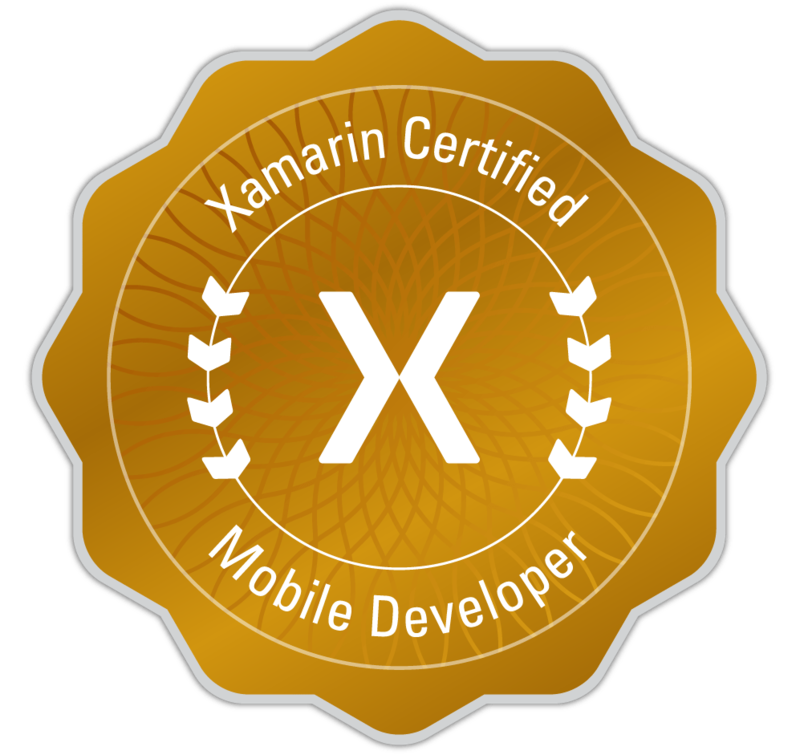 Xamarin Certified Professional – I’ve been developing mobile solutions in .NET for Android and iOS for several years. In 2014, Xamarin released Xamarin Forms which allows development of the UI and back-end to be written using PCL so no more writing different code for the UI on each platform. I’ve been developing mobile solutions since 2004 for Windows Mobile devices. Windows Mobile devices are still used in industrial scanners and more by companies like Walmart, Sierra Nevada Brewery and more. As a successful telecommute/freelancer engineer during the last 15 years, with over 25 years of experience, I have accumulated the tools necessary for most projects.